We left Toronto on Queen Elizabeth Way towards Lake Ontario. We spent our time with a long walk along the waterfront with great views of the falls. 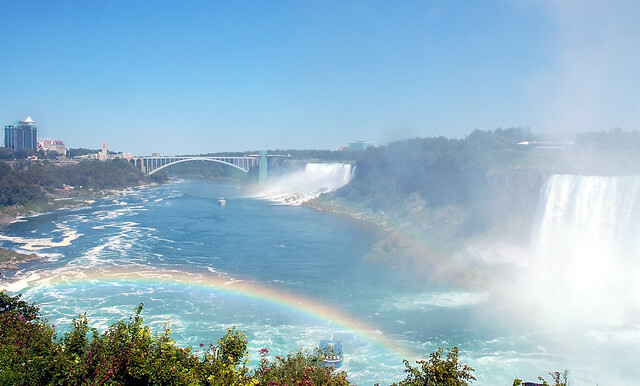 In the local IMAX theater we watched the IMAX film „Niagara“, which gives a good views from different angles on the falls. In the evening the falls were illuminated, which looks a bit like Disney world rather than a nature site but it’s a nice eyecatcher anyway.